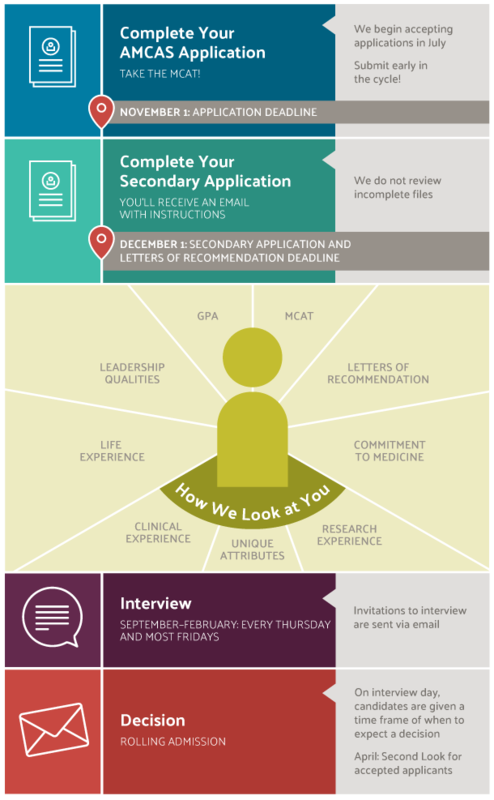 Candidates for admission must apply through the American Medical College Application Service (AMCAS). You must submit the AMCAS application before November 1 to be eligible for admission into the next year’s incoming class. The latest MCAT scores we will accept for MD'23 applicants are from test scores since January 2016 (i.e., three years prior to 2019 matriculation).